Having trained originally in Newark, Deborah is a Partner and has headed the Private Client Services Group since the retirement of the firm’s former Senior Partner, Geoffrey Bond OBE. Deborah advises on wills for high net worth clients and their families on succession planning together with associated tax planning. She also administers estates, advises on the creation and subsequent management of trusts, older persons issues and Charities. Deborah deals with the day to day administration of complex estates and is retained by a number of trusts to advise on various aspects of the trusts themselves and their duties as trustees. Deborah also advises regularly on succession planning for clients, working with other professionals where appropriate. In 2010 Deborah was President of the Nottinghamshire Law Society, is a past Chair of its Older Persons Committee and past winner of the Nottinghamshire Law Society’s award for Services to the Wider Community. She is also a member of the Society of Trust and Estate Practitioners. In 2013 she was appointed Under Sheriff of Nottinghamshire whose duty is to support and enhance the office of the High Sheriff. 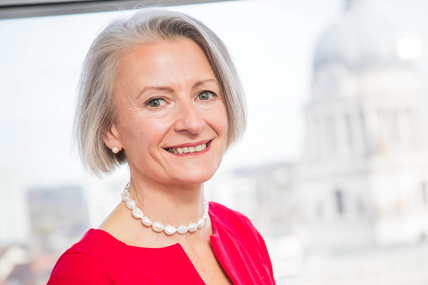 Deborah regularly gives presentations for clients and the wider community in her role as past Chair of the Older Persons Committee of the Nottinghamshire Law Society on private client issues. Away from work, Deborah is a School Governor, Church Treasurer, and Chair of the Joliba Trust – a charity that supports grass roots development projects in Mali. When she has any time for herself, she enjoys riding her horse, going to the theatre and annual trips to Tresco.